An empirical method of knowledge acquisition which involves careful observation and rigorous skepticism. 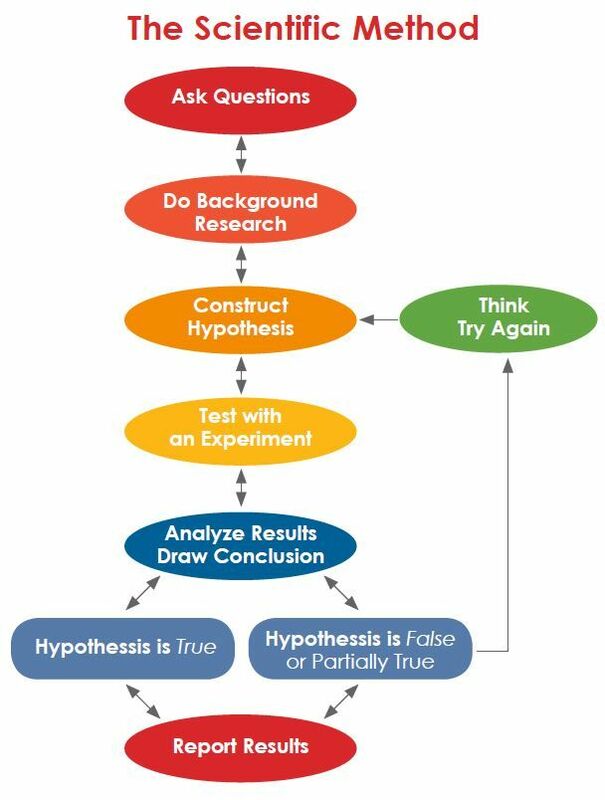 It involves formulating hypotheses, via induction, based on such observations; experimental and measurement-based testing of deductions drawn from the hypotheses; and refinement (or elimination) of the hypotheses based on the experimental findings. When applied diligently, scientific method is known for its ability to guard against the influence of cognitive biases, erroneous perceptions, faulty interpretations, and cognitive assumptions about how the world works. Observation. The observance of something, internal or external, tangible, or intangible (as in thought or emotion), objective or subjective (such as a perception). Questioning. The use of curiosity to formulate a question, which guides the inquiry. Hypothesis. A conjecture, based on knowledge obtained while formulating the question, that may explain any given behavior. The hypothesis might be very specific; for example, or it might be broad. Prediction. A determination the logical consequences of the hypothesis. One or more predictions are then selected for further testing. Testing. An investigation of whether the real world behaves as predicted by the hypothesis. Scientists (and other people) test hypotheses by conducting experiments. Result. The consistently demonstrable results of the testing. Analysis. Determining what the results of the experiment show and deciding on the next actions to take. The predictions of the hypothesis are compared to those of the null hypothesis, to determine which is better able to explain the data. Although the Scientific Method is largely undisputed as the best way to validate knowledge, there exist some philosophical arguments that challenge its infallibility and comprehensiveness.